This has been a tough week for my husband and his family. In the space of 3 days, 2 members of Himmat’s family died – a first cousin and an aunt. 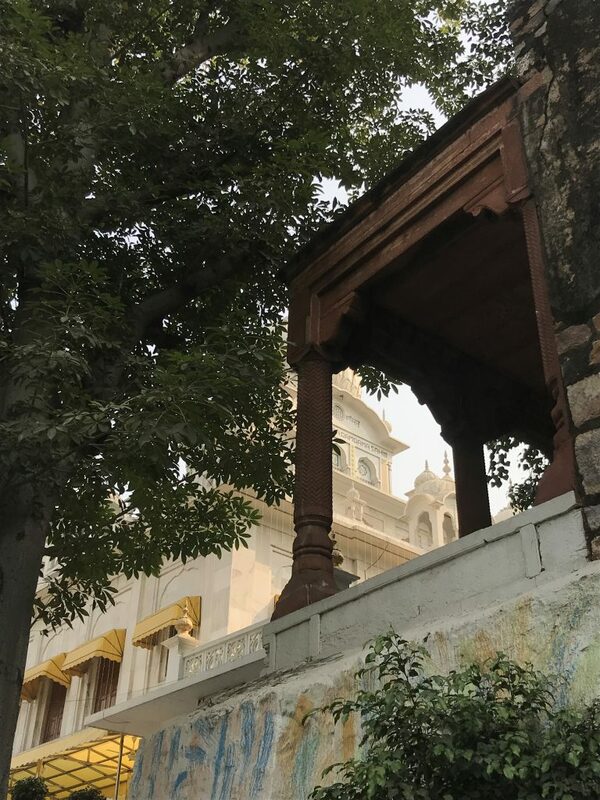 Both memorial services (the “bhog”) were held, with just a day between them, at the Gurdwara Damdama Sahib, a Sikh temple near Humayun’s Tomb. 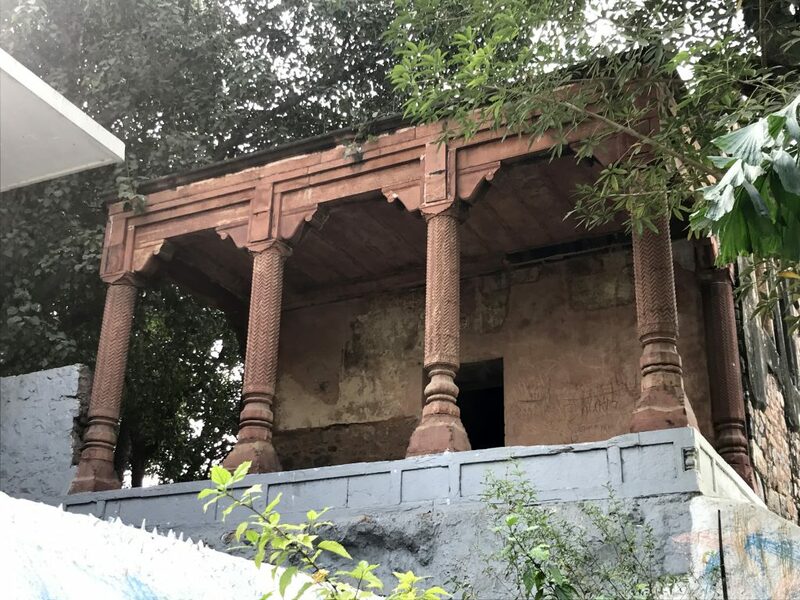 Not only had I never been to this gurdwara, I’d never even heard of it before, which is surprising, since it has quite some history attached to it – plus, it is located right next door to Humayun’s Tomb. The first prayer service I attended was also the first time I have encountered officious, borderline obnoxiously rude Sikhs in their place of worship. It was a disappointment to see how the Sikhs supervising the arrangements – not those praying or singing – threw their weight around, even physically stopping people from leaving the temple at one point, despite the heat and mugginess. So today, when we arrived at the same place for the “bhog”, I decided I wasn’t going to be spoken to in the same rude way as on the previous occasion, nor be bossed around by these men. So after sitting for about 15 minutes inside (not checking Whatsapp and Facebook like the woman next to me, shame on her) I stepped out into the gurdwara grounds to sit and do my own spiritual thing, away from bossiness and a language I can’t understand. 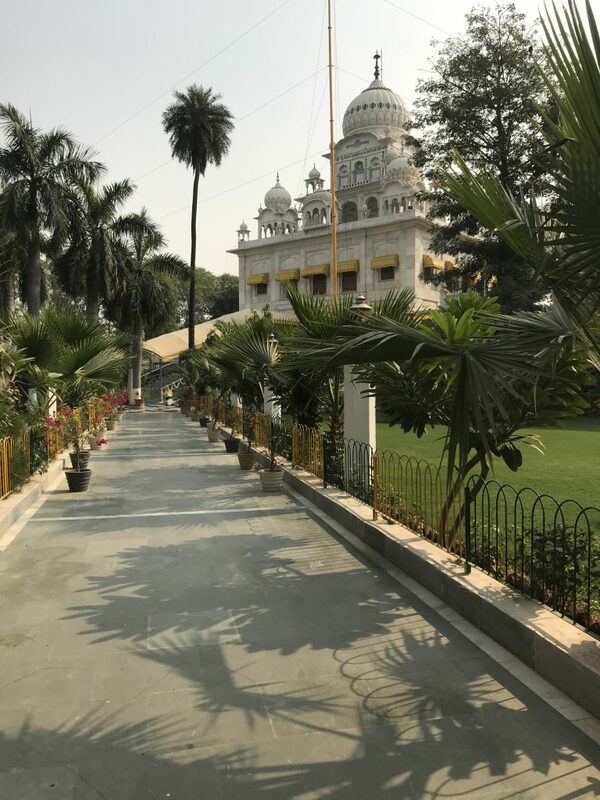 You have to be barefoot inside a gurdwara and its immediate precincts, so I wandered along the clean footpath barefoot, but didn’t go into the garden. What was I doing, and where was I going? Time to play the Hindi card, Christine. Anyway, the little garden with some creative topiary, was a nice place to sit and think about things. The brown structure to the right (above) is from Humayun’s Tomb and the white marble structure is the gurdwara. Sadly, as is the case with so many of the monuments in this city, this little pavilion has been graffite-ed over. But it still looks so pretty. 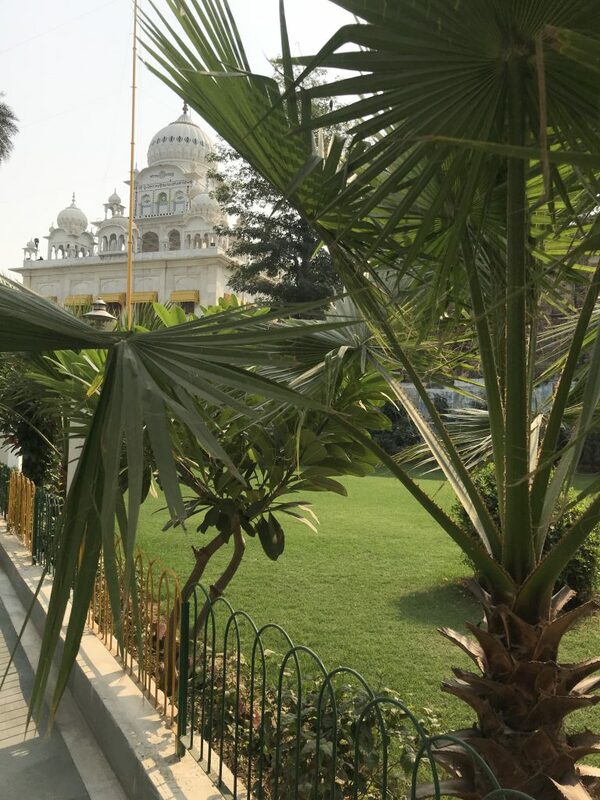 The history behind this gurdwara is explained, in a rather obscurantist style, both on site and online, but the essence of it is as follows: the Tenth Guru, Shri Guru Gobind Singh ji met there, in 1707, with Prince Muazzam, who would later become Emperor Bahadur Shah. The Prince had asked for the Guru’s help in his battle for the throne with his brother, after the death of Aurangzeb. Guru Sahib met the Prince at the very place where the gurdwara stands today, and together they drew up their strategy. Gurdwara Damdama Sahib (meaning place of rest) was built by Sardar Bhagel Singh in 1783, when a huge Sikh army under his command conquered Delhi. Do visit if you’re in the ‘hood. But you have been warned about the bossiness. Love the blog. Gutsy to call out sevaks who can be cut and dry, though I won’t call them bossy. I find them everywhere in Temples, Gurudwaras and most of all in Ashrams. The reason, I find in retrospect, is that we city muggles are presumed to be indifferent towards religions they clearly don’t frequent, and therefore the stiffer demeanour to discipline them. Your skin, unfortunately, brought that out faster. I get that, too, a lot. The one that disturbed me the most was Thali temple in Calicut where they refused entry because I was wearing pants. Thanks, Sanjeev, but these guys were most definitely bossy. Physically barring the door with a lance to stop people trying to leave. Then forcing everyone who couldn’t get out to sit down, despite protests from a couple of elderly people. Everyone had to take socks off. No chairs for the elderly to sit on. It’s the first time I’ve encountered such rudeness and high-handedness in a gurdwara.